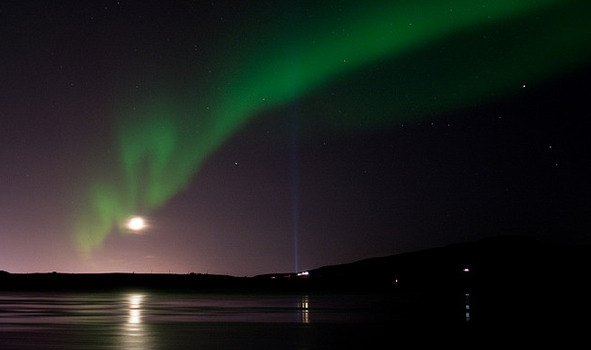 By some estimates, Iceland currently ranks one of the most atheistic countries in the world. This seems a bit strange for a country that was founded by Christians. Indeed, some of the first settlers on the island were hermits and monks from Europe. Catholicism was quickly adopted as the state church of the region, followed by Lutheranism with the advance of the Reformation. Even today, tiny communities in the middle of remote countryside feature prominent churches; the bell tower is often the first thing you can see when driving in from a distance. Inasmuch the Gospel message is not foreign to the country of Iceland. But unlike the rest of Europe and even America, Iceland has never seen a revival, never seen an uprising of the faith. Christianity has always been present, but it never seems to have taken a vibrant foothold in the country, never seems to have the brilliant flash and appeal it has held, at some point or another, for the rest of Western Christendom. Instead the Gospel message has slowly settled into a role as a relic, a historical anecdote, a quaint but irrelevant aspect of history. Its light no longer draws a second glance. So between that and the fact Netflix is still unavailable here, it’s safe to say that Iceland is not quite a perfect country. This past week we had some time off for R&R and took advantage of a good deal on plane tickets and flew to Ísafjörður, the most prominent city in the northwestern region of Iceland. Seeing as it is nestled between the towering mountains of a fjord, flying into Ísafjörður feels like riding a roller coaster that was designed by someone who only believed in the existence of 90 degree angles; I was grateful to return my feet to solid ground. Since Ísafjörður is such a small town, hotels and guesthouses aren’t too cheap (which, goes to say, the author of this post may or may not have failed to look into booking one in advance). So we brought our tent along and found a spot in a campsite a couple miles outside of town. We spent our days hiking alongside waterfalls, playing cards by our campsite and exploring the town and local area with a fellow American we’d met on the plane who was kind enough to let us to accompany him on some drives he took in a rental car. At night, we’d walk into town and grab a bite to eat at the local grill then stroll back along the fjord as dusk was making its final stand atop the mountains. It was during one such evening, on a particularly cold and crisp night, that we were walking back to our site and noticed something faint bridging the twilight sky above our heads. Spanning the expanse between the mountain peaks was a wisp of clouds with a greenish hue to them, like an alien spaceship had sprung a leak and crashed the next fjord over. “What do you think it is?” my wife asked. I wasn’t sure. Perhaps it was a strange reflection from the sunset. Or perhaps we were just seeing things. We returned to our campsite and prepared for bed. Because it was a tad bit cold, and my wife had been a jolly good sport with regards to my failure to book us a hotel, I’d agreed to stay up for a couple hours reading so that she could fall asleep under both of our sleeping bags for extra warmth. It was well past midnight at this point, and it was late enough in the summer to have pure darkness for a few hours especially in the northern part of the country. I’d just finished tucking my wife into the sleeping bags and stood up out of our tent when, for the second time that night, I noticed something green flash out of the corner of my eye. I turned, bracing myself for an alien abduction. But what I saw was ten times more breathtaking, a million times more brilliant. For lo and behold, when I turned around my eyes beheld, not aliens, but the aurora borealis, the northern lights, dancing and swaying just above the mountain tops. For a moment, I was speechless. I’ve dreamt of viewing the northern lights my entire life. I’ve lived places where they’ve been spotted on the rare occasion but never witnessed them myself. When we came to Iceland we knew it was known for these sightings but we were told the earliest they appeared was September. It was still mid-August and I never dreamt for a moment that we’d have a chance to see them before leaving. But there they were, undeniably, flashing before my very eyes. After luring my wife from the tent we both stood staring at the lights for a few minutes before they danced into the darkness and were gone. With that, I helped my love back into bed and made my way to the campsite’s common kitchen area, a small heated hut, where I could stay warm and read until she had drifted into a comfortably cozy slumber. When I reached the hut and was about to go inside, there was another flash, and looking north I saw another string of the aurora swirling from the night sky. It was even brighter than before, a vivid wall of green lines dancing across the horizon to some unheard song. I was mesmerized. I stood outside the door of the hut, my neck craned skyward, shivering almost uncontrollably but never once considering stepping inside; it was one of the most remarkable things I’d ever seen in my life. The door opened and a slice of lamplight cut into the lawn interrupting the scene. A man stepped out and I turned to him and pointed to the lights. The man turned and glanced at the lights, examining them the way a teacher might survey a student they’re about to flunk. Then he turned back with a shrug of his shoulders and said something that I couldn’t understand but recognized as French. I might remind the readers that I studied French for three years in college, enough to recognize it when someone rains it down upon my borealis parade. Unfortunately (or perhaps fortunately) I didn’t study the language enough to know how to say: “WHAT THE $#@! IS WRONG WITH YOU!?! ISN’T THIS THE MOST BEAUTIFUL THING YOU’VE EVER SEEN? !” So I didn’t. Instead, I just watched, with my jaw on the ground, as the man walked by me and continued up the hill, glancing at his cell phone in the process, all while the aurora borealis continued to dance and flash right above him. I’m frequently struck by the way in which familiarity slaughters beauty. For most of my life I’ve wanted to visit Iceland. When I first landed in the country I was spellbound by the view of mountains on the skyline just outside the city. Now, after just a few weeks of living here, I pass this vista with hardly a second glance. They’re just mountains after all. The same goes for most remarkable things in life: the first time when I saw the ocean as a child, I sat for hours in the sand, staring out across the water. Now that I live by the sea I hardly notice it. As a young man I wanted so desperately to be married I would have taken a bullet from anyone who stood in my way. Now working to strengthen my relationship with my wife is something I’m prone to view as a chore, a task on my to-do list rather than a blessing beyond compare. And the Gospel message, the first time it is heard, is revolutionary, it is beautiful, mysterious and mesmerizing: like the aurora borealis dancing above the mountain peaks. But with familiarity inevitably comes a lack of appreciation. The more we hear the Gospel the more we are prone to see it as something to be reserved for holidays and eulogies, a message with little to no relevance for day-to-day life. I spent the next few hours standing outside with my eyes turned to the sky watching the magical lights make their way across the heavens. In a little while I was joined by another Frenchman, this one with a greater appreciation for the beauty, who produced a camera and tri-pod and proceeded to capture pictures of the lights. We didn’t talk much, for lack of common language, but we did communicate via an occasional “Wow!” and “Oui, incroyable!” Few things will ever replace that night. But one thing surpasses it without competition and that’s the message of the Gospel. It’s the story of the God of the universe who became human, lived, died and rose from the dead. The story is no mere relic; it is ten times more beautiful, mystical and profound than the aurora borealis in their finest hour. But the danger of familiarity, the problem of knowing and hearing this message is that I’ve begun to think I can comprehend it. And now the mystery is gone; the beauty has vanished. I am capable of regarding its appearance with little more than a shrug of my shoulders and a “meh”. And at that point the Gospel is no longer profound to me, but it does not mean it is not real or beautiful. I have simply traded it for something else; I have exchanged the beauty of the aurora borealis for the artificial glare of my cell phone. But the truth of the Gospel remains; the beauty of the aurora borealis exists whether or not we acknowledge them dancing across the mountaintops of the fjord. The reality and prevalence of our need for the Gospel, both in Iceland and across the entire world is real whether or not we acknowledge it. When alls said and done, that is a truth of which I can be sure. That is a reality upon which I can rest. That and, for a country that doesn’t have Netflix, Iceland sure has some decent alternatives.